A book about ballooning, photography, love, and loss, Levels of Life begins in the nineteenth century and transforms into a personal account of grief. For the first two-thirds of Julian Barnes' latest book, the reader would be forgiven for thinking he or she was immersed in a strange but perfectly crafted history of — of all things — 19th-century Anglo-French ballooning. 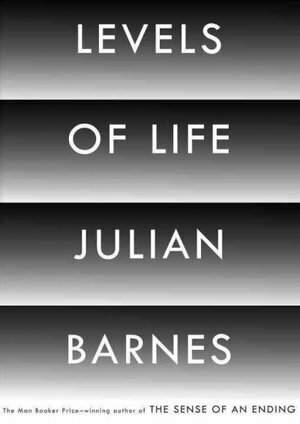 But then, after taking us high into the clouds, Barnes abruptly descends for the last third and confronts the subject of his own crash landing: the death of his wife … Love and grief, then, are the two motifs. Barnes can explain the former (‘the meeting point of truth and magic’) but the latter leaves him stumped — offering only, yet succinctly, that ‘Grief is the negative image of love.’ If, at the end, Barnes is still unable to make sense of his loss, he has at least edged a little closer to accepting it. Kavanagh doesn’t appear until the last of the three essays. She casts a shadow over the playful and digressive preliminary chapters, and in this new, lower light they seem a defense against grief’s identity-warping madness — as if Barnes worried that writing about the death of the beloved might kill her all over again, this time in prose. The third essay, bracingly precise, is the emotional center of the book … The first two essays, intellectually and imaginatively rigorous, provide a kind of apology for the third. But despite all expectations, those two are the ones that occasionally wax sentimental; the dialogue between Burnaby and Bernhardt can blush somewhat purple...His articulation of his anguish is well served by his leeriness, as the book’s last section is one of the least indulgent accounts of mourning I have ever read. I almost wish Levels of Life consisted only of its 56 shattering pages. Burnaby died in 1885, in a battle in Sudan, from a spear-thrust through the neck. Barnes felt he had suffered a similar spear-thrust, or balloon crash, when his wife of 30 years died just 37 days after being diagnosed with a brain tumour. Where the first two sections portray life in the air and on the ground, the searing 50-page essay that concludes the book describes descent – no upper air, no perspective, just darkness and despair … One grief throws no light upon another, he says, quoting EM Forster. But some aspects of grief are universal, or can be made so through the honesty and precision with which they are articulated. What did you think of Levels of Life?